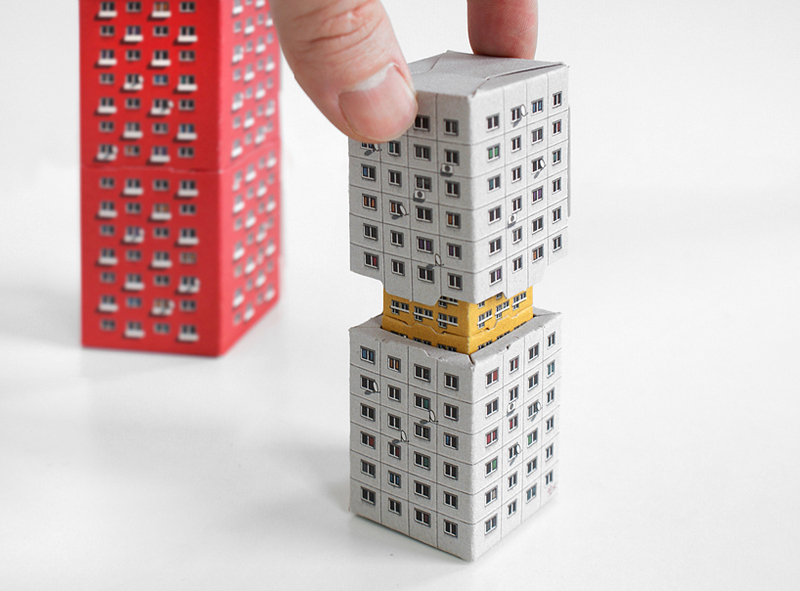 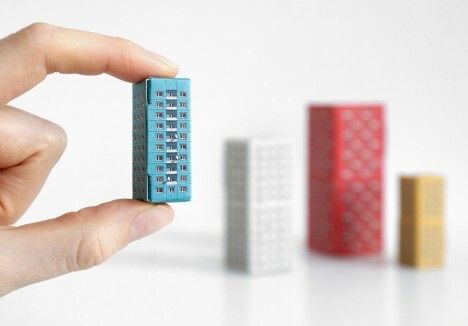 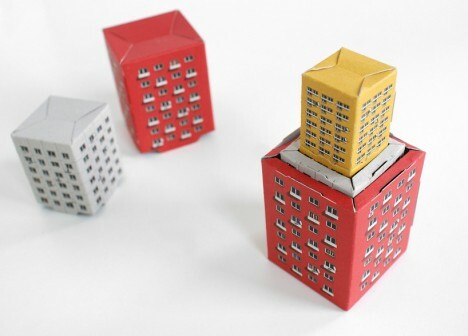 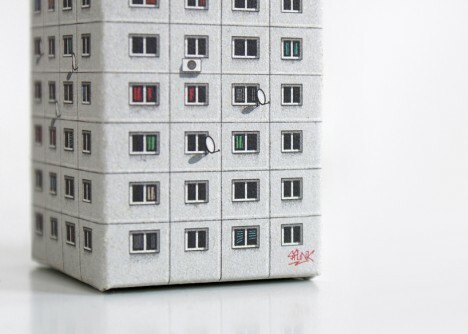 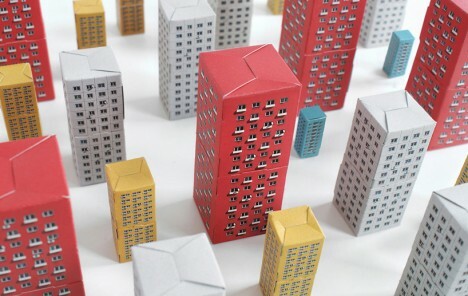 This series of recycled cardboard models references both the functional styles of postwar Soviet architecture as well as the Russian tradition of handcrafted nesting dolls. 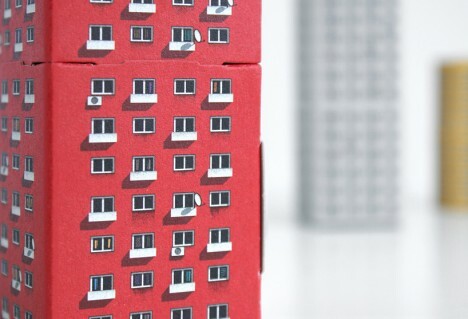 In the wake of World War II, European cities were forced to rebuild in a hurry, focusing on cheap and efficient structures that could effectively be mass-produced. 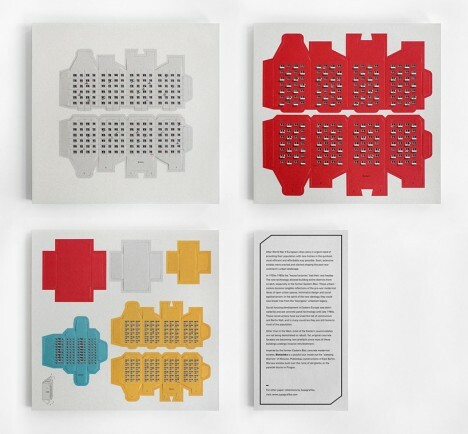 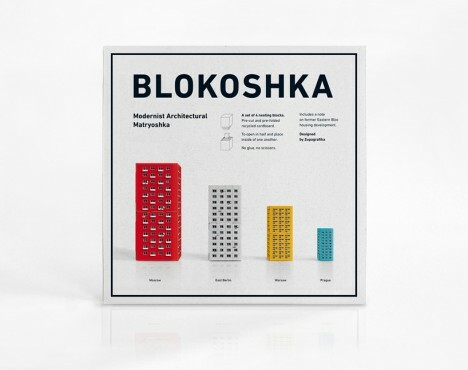 Blokoshka (from: Matryoshka and blocks) by Polish studio Zupagrafika borrows from the pragmatic minimalism of this architectural history. 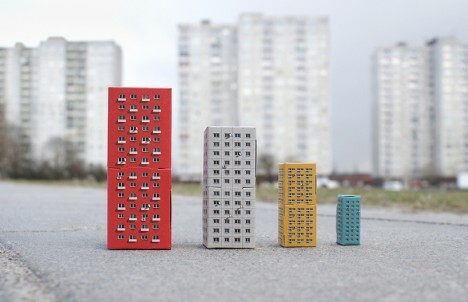 The four units represent four types of building in four places: the sleeping districts of Moscow, Plattenbau Constructions of East Berlin, ruin-topping estates of Warsaw of moscow, and Panelak blocks of Prague. 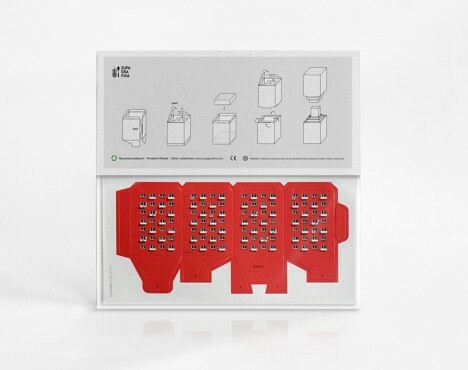 The prefabricated pieces are nestled in sheets of cardboard, ready to be folded into place without the need for glue, scissors or other tools. 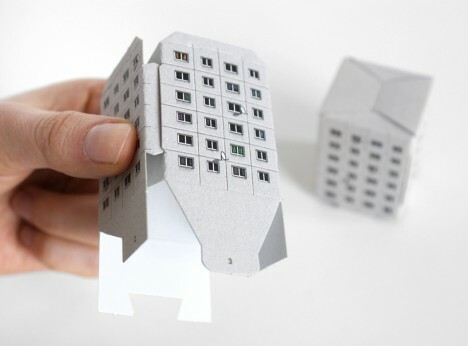 Each resulting structure tucks neatly into the next, so the sets can be deployed into districts or recombined into shelf-sitting modules.